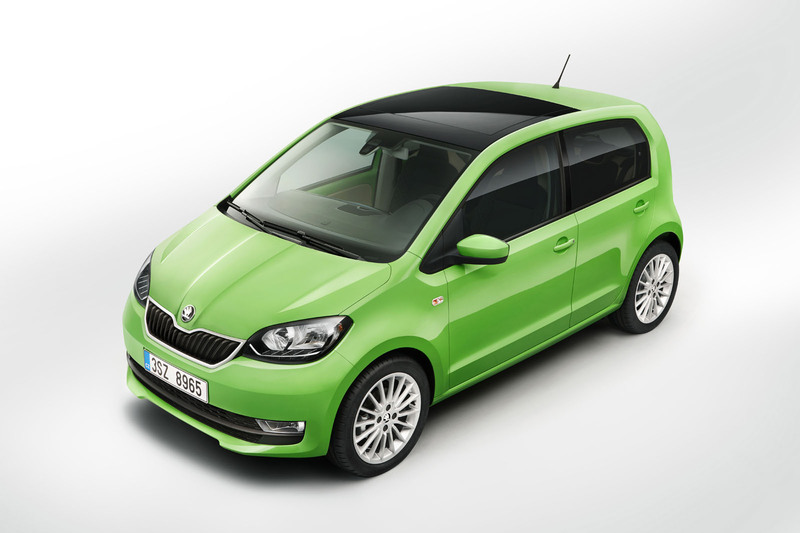 The facelifted Skoda Citigo has been revealed at the Geneva motor show, with tweaked styling and minor interior changes. The car's bonnet, front grille, bumpers and foglights get a new design, and there are new LED headlights. Inside, very slight changes include a new instrument cluster and optional multifunction leather steering wheel. The Citigo, which shares its platform with the Seat Mii and Volkswagen Up, has also grown slightly – by 34mm – while its width, height and boot capacity remain the same. New options include a foglight cornering function, tinted tail-lights, new 15in alloys and a colour package with a white or black colour scheme for the roof and door mirrors. Higher trim levels also get a two-tone coloured dashboard, while a high-resolution digital display and light and rain sensors are also optional. The instrument cluster, which includes the speed indicator, rev counter and fuel gauge, has a new design and comes in two different versions. Skoda says its 'Simply Clever' features now include an umbrella under the front passenger seat, along with various storage compartments and smartphone holders. Engines will be carried over from the current model, which means the same 1.0-litre units will be available - with either 59bhp or 74bhp - paired to a five-speed manual gearbox and start-stop system. There’s no official word on pricing, but it’s unlikely these changes will result in a significant increase. The current model is priced from £10,070 to £11,390. Padding out the word count? Will we get similar articles for the VW and Seat versions? It must have been like this in the 60s for reporters having to write about all the badge engineered BMC cars! £10k for the cheapest Skoda? How times have changed. I guess Dacia is the new Skoda, while Skoda has become the new VW. An umbrella under the passenger seat may be "simply clever", but personally I'd rather have a bit more poke than 59 horses can provide! How about the 89 bhp tsi engine? Still reserved for the Up then. Manufacturers never seem to show pics ranging from the basic version upwards when new/updated models are released. Doubt I'll ever see a Citigo on the road that actually looks like this one! The colors range is not solid.